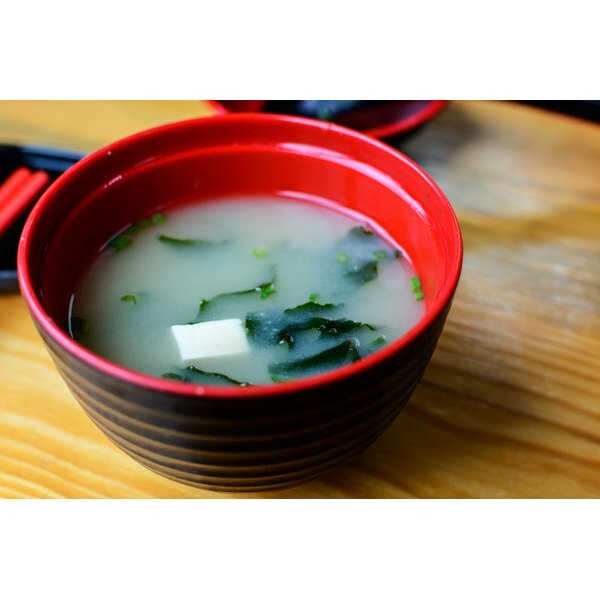 A bowl of miso soup on a table. The macrobiotic diet is a very old style of living that traces its origins back to ancient Greek times. The diet has evolved through the years, and now it focuses on eating primarily whole grains, vegetables and minimally processed foods. Most people who follow a macrobiotic diet also strive to eat gluten-free foods. Since whole grains provide sustained energy at the start of the day, they’re naturally good choices for breakfast. Eat hot brown-rice cereal for breakfast instead of the more typically American cold cereal. The Macrobiotic Guide recommends using all types of brown rice often in the macrobiotic diet. You can also choose to cook brown rice in congee, a simple rice-and-water porridge. Congee can be garnished with toasted seeds or dried fruit and enjoyed with a small bowl of steamed vegetables. Make your own pancakes so that you can ensure they’re gluten-free and don’t contain any ingredients that don’t fit with the macrobiotic diet. If you’re comfortable with using a gluten-free baking mix, try to find a product that is as natural as possible. Otherwise, make pancakes with buckwheat, quinoa flour or another gluten-free grain source. Serve a small bowl of miso soup at breakfast. Macrobiotics America recommends eating the soup with whole-grain cereal and steamed vegetables. The soup is thought to help with proper digestion. Grab a container of granola for a healthy macrobiotic on-the-go breakfast option. Make your own granola so you can add plenty of seeds and dried fruit as natural sweeteners, and avoid the large amounts of sugar in standard granola. Granola can be an excellent source of sustained energy throughout the day. Create a smoothie that fits with the macrobiotic diet. 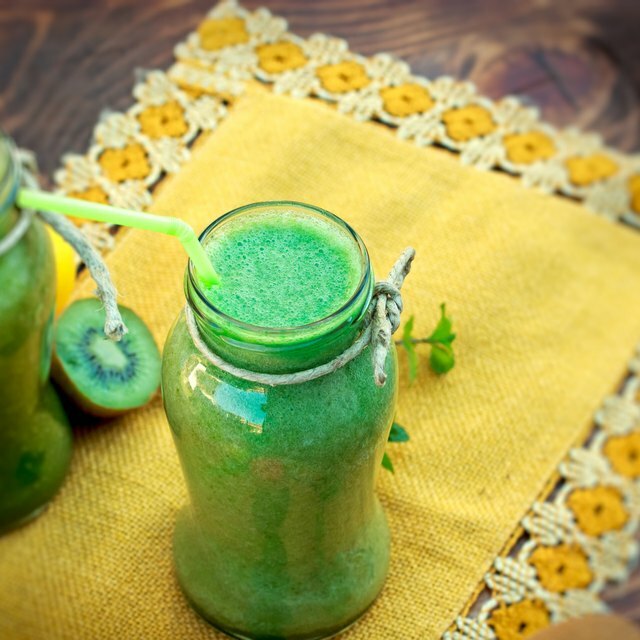 Since the diet doesn’t traditionally call for eating a lot of fruits and dairy products, you may want to purchase a juicer and use it to make vegetable juices in the morning. You can also blend vegetables in a regular blender and sieve out the skins and seeds to make a nutritious, low-calorie drink to enjoy with whole-grain cereal or soup. Use tofu or seitan in place of eggs to make a nutritious and filling breakfast scramble. Chop and steam or quick-cook vegetables, and combine them with the prepared tofu or seitan for a high-protein breakfast option. Round out the meal by adding seeds, cooked brown rice, wheat berries or pearl barley to enrich the dish and add texture.